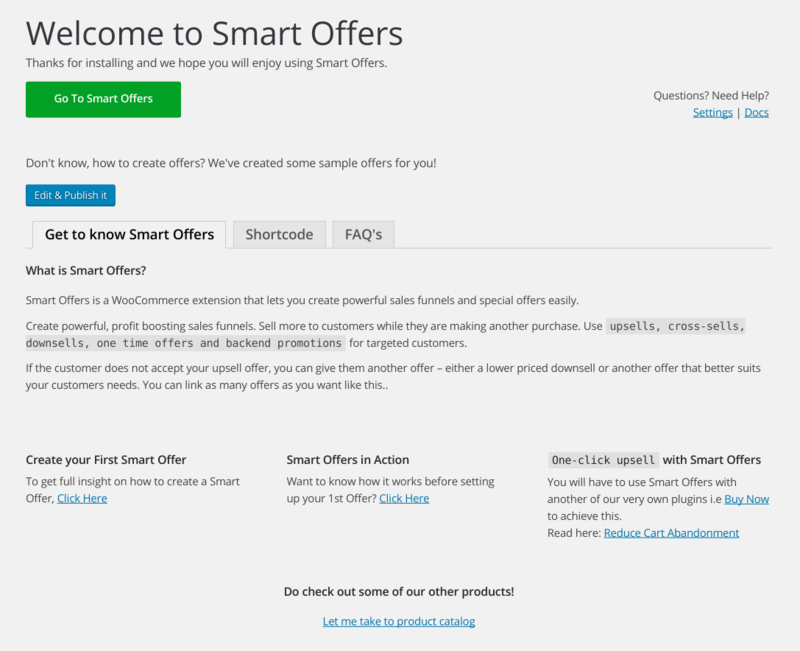 After activating Smart Offers, you will be redirected to Welcome Page of Smart Offers which explains Features of Smart Offers along with Shortcode & FAQ’s tab for the common problem one might encounter while setting up Smart Offers. Welcome Page is also accessible from Smart Offer’s menu. To help you create your first offer, we have also created a set of Sample Offers. You can add them to your store simply by clicking Edit & Publish it from the Welcome Page.